analyzed by the computer program. real time from any location to diagnose the patient. 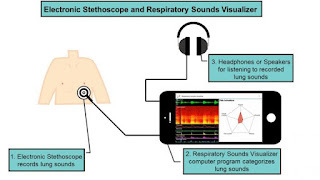 ﻿﻿The classic stethoscope has entered the digital age. 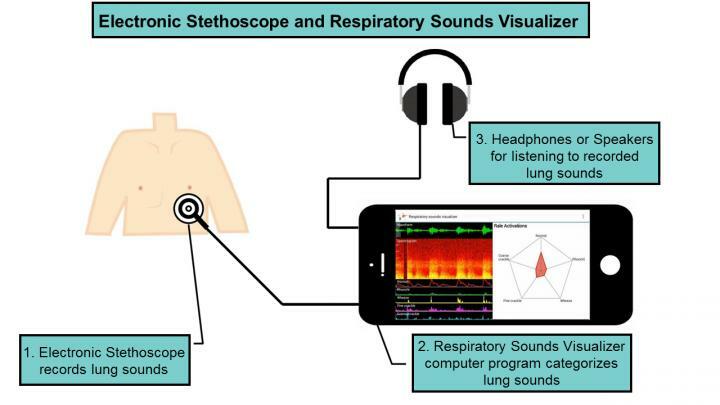 Medical researchers have created a computer program that connects to an electronic stethoscope to classify lung sounds into five common diagnostic categories. The research was published in Annals of Internal Medicine.